The Scottish National Party is "committed to using public contracts to deliver clear community benefits", would support increased community ownership of local energy projects and other local assets, and would remove restrictions on campaigning charities. The SNP’s 56-page manifesto, launched today, suggests the party might repeal or reform the lobbying act. A short section called "Lobbying and charities" says: "We support strict rules on lobbying but believe that campaigning charities should be allowed straightforward access and restrictions on their activities as ‘non-party campaigners’ should be removed." A spokesman for the party was not immediately able to clarify what this would mean in practice. In a section called "Passing power to people and delivering stronger communities", the manifesto says it will work to ensure the Community Empowerment (Scotland) Bill, which was introduced to the Scottish parliament in June, would be passed. The legislation "proposes ways we can improve civic and community engagement and empowerment, including on the use of public assets". The manifesto adds: "SNP MPs will seek ways of extending the community asset transfer provisions of the legislation to include property in Scotland owned by UK government departments." The same section says: "We are also committed to using public contracts to deliver clear community benefits, including local employment and training opportunities and support for community initiatives." 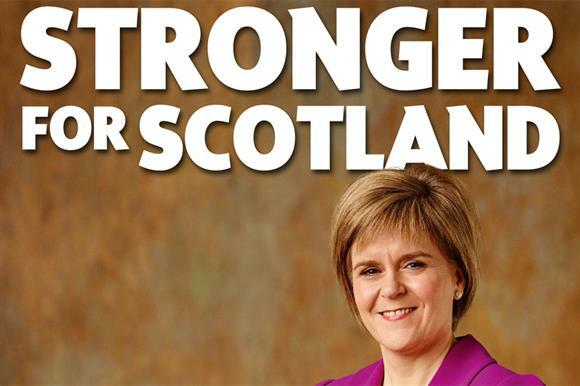 The manifesto later says the SNP will "ensure all suppliers to the Scottish government also pay the living wage". On community energy, the manifesto says: "The Scottish government has ambitious targets to support community energy generation and we will press the UK government to make it simpler for communities to establish local energy companies and easier for community schemes to access the grid." Other references to the voluntary sector in the manifesto are the pledge to "support businesses, the third sector and public sector organisations working to boost productivity by using energy, materials and water more efficiently, so we can build a more resource efficient Scotland", and the SNP’s work with the Fair Work Convention. The convention, a stakeholder body for Scottish industrial relations, was launched in October by the Scottish government. The SNP manifesto says: "By establishing a Fair Work Convention, we aim to draw on and promote best practice while making it easier to work effectively with our partners across the business community, third sector and trade unions." In the section "Delivering home rule for Scotland", the manifesto says: "We agree with the Scottish Council for Voluntary Organisations ‘that anything less than wholesale devolution of welfare would be a real missed opportunity to meet the needs of the most vulnerable people in our communities’."